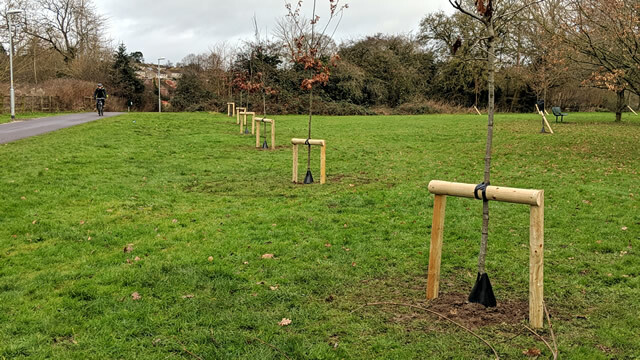 The Council-led group tasked with planning development of the recreation ground envisioned an avenue of trees along the footpath that leads to the skate park, similar to the one along Cemetery Lane. In the end it was decided there was only room for trees on one side of the path. 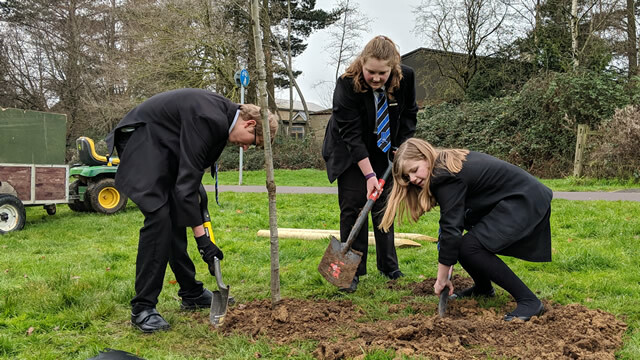 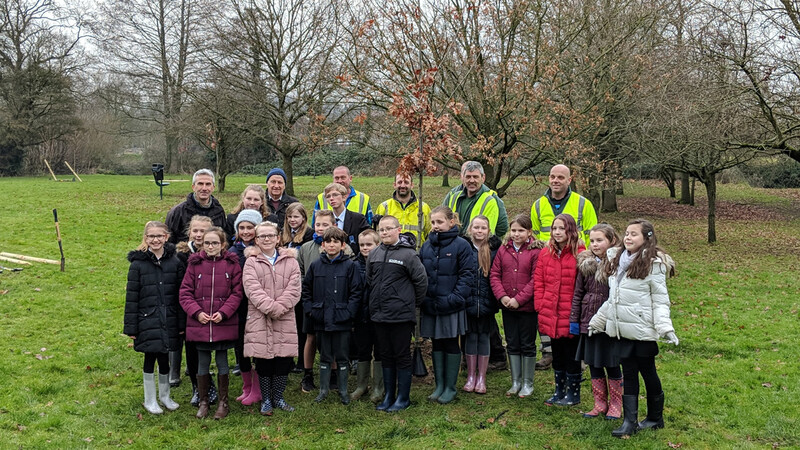 A team from South Somerset District Council carried out the planting with help from pupils from all three of Wincanton's schools. 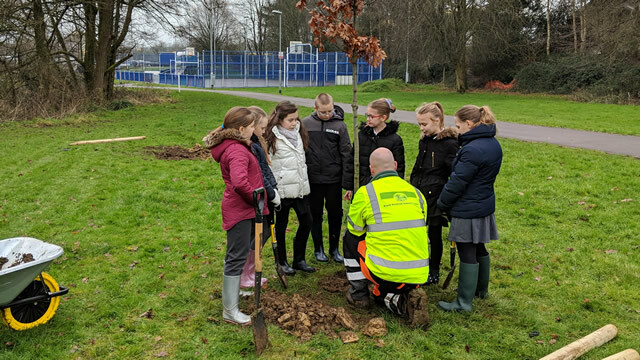 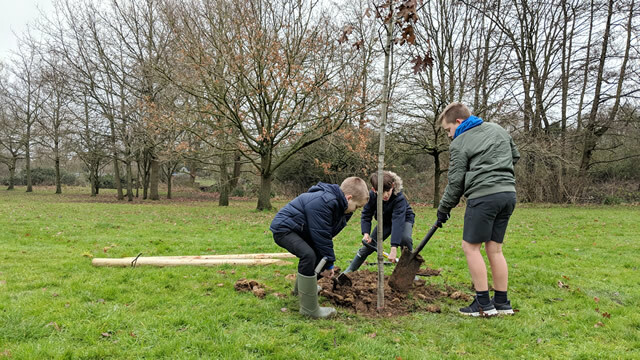 During the event the children were given information on the trees they were planting, which included Acer camppestre (Field Maple), Aesculus indica (Indian Horse Chestnut), and Quercus coccinea (Scarlet Oak). 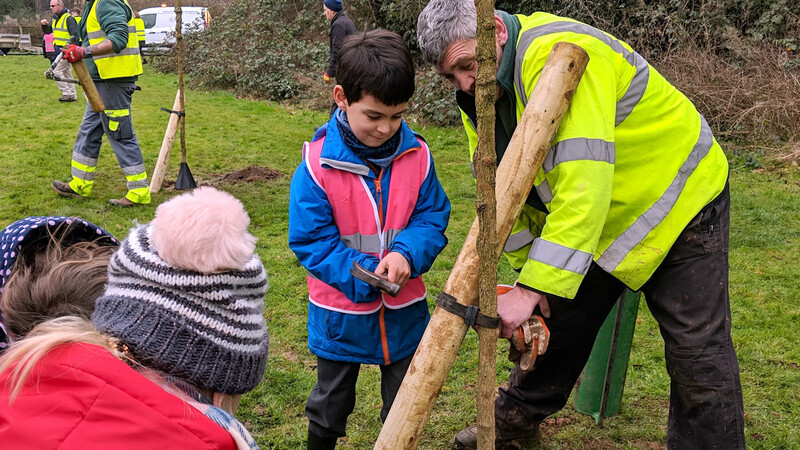 The children were split into groups, each given the opportunity to help fill in the earth around the roots of one of the trees, tie its trunk to a supporting stake with a strap and hammer in a nail to fasten the three. 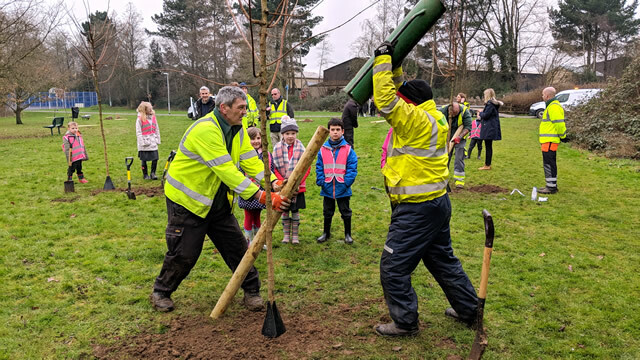 The planting was another step in the Town Council’s ongoing plan to invest in the redevelopment of the recreation ground, which has taken big strides in recent years with the refurbishment of the play area, the installation of a new footbridge over the River Cale to access the play area, and the replacement of the long-neglected communal shelter.